We are delighted to have our award-winning wines on the wine list of some of the Hunter Valley restaurants. Check out the venues below where you can savour a glass or bottle of Elbourne wine while sampling the local produce. 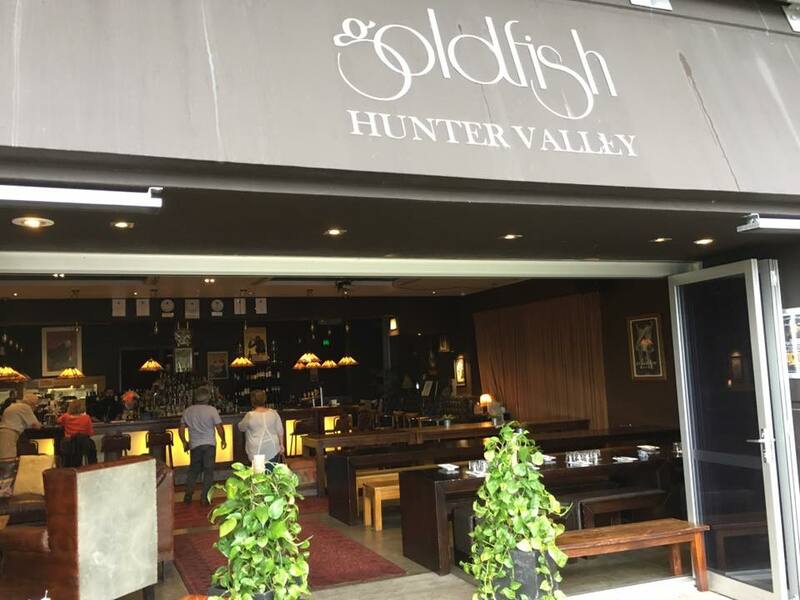 Elbourne Wines now featuring on the Goldfish Bar & Kitchen wine list @ Roche Estate complex. Aside from the obviously amazing wine list, they produce superb cocktails for a cheeky pre-dinner drink or aperitif when next up here in the Hunter Valley!!. Extremely excited to be a part of the wine list at OISHII restaurant @ Roche Estate. Patrick & his team serve up sensational Thai & Japanese fair & is a must do for lunch or dinner when visiting Hunter Valley wine country. You can now wash down a superb meal with a bottle of the trophy winning 2012 Single Vineyard Elbourne Chardy!! Sydney Uni Cricket Club & Elbourne wines – perfect match. Elbourne Wines is proud be be affiliated with Sydney Uni Cricket Club.